Georgina Goodwin is an African documentary photographer based in Nairobi. With 11 years experience she specialises in social and environmental issues in Africa, her stories on climate change in the Rift Valley and life in a Samburu women’s village emancipated from underage marriage and FGM winning category awards at the Kenya Photo Awards 2016. 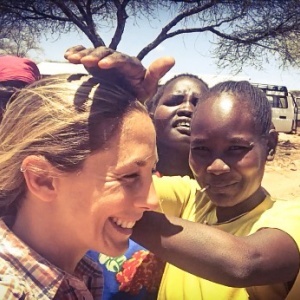 Georgina’s personal projects include documenting Cancer in Africa, which was nominated for the Prix Pictet 2015 Award for Sustainability and Photography, climate change in E.Africa, children living in Nairobi's urban poverty, and Fistula, Africa's Forgotten Women, which she carries out alongside her commissioned assignments. Her work has been published by NY Times, Newsweek, Elle Mag, FT, Vogue Italia, BBC, CNN, AFP, Reuters, UN, World Bank and many others, and has been shown in Times Square NYC, The Louvre Paris, San Francisco Public Library, and most recently by Magnum Foundation and #Dysturb at Look3 Festival’s #ReframeClimate exhibition in Charlottesville, USA. She was awarded Kenyan News Photographer 2014 for her coverage of the Westgate Terror Attack, and her coverage of the 2007/8 Kenyan post-election violence was shortlisted for Prix-Bayeux Award 2008 and been widely published. Georgina’s portfolio can be viewed at www.georginagoodwin.com and www.instagram.com/ggkenya. 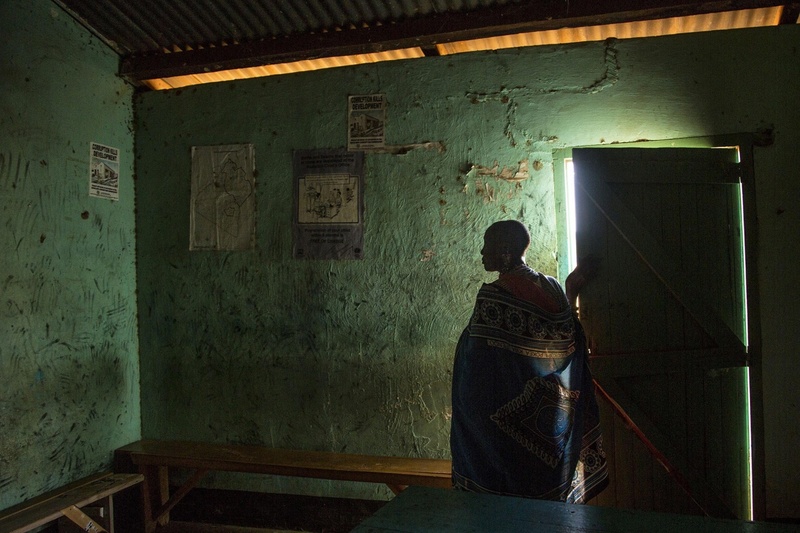 Former cutter Malang'o (not her real name) believes that FGM keeps a girl from being ‘too hot’, from straying from her husband. She agrees with the practice despite it negatively impacting a girl’s psychological, emotional and physical well-being, education, health. The United Nations Population Fund, jointly with UNICEF, lead the largest global programme to accelerate the abandonment of Female Genital Mutilation (FGM) in line with Zero Tolerance Day for FGM on 6 February 2017. As well as the well-known agents of global climate change like carbon emissions there are the many smaller-scale elements contributing massively to local climate change. Growth in population of people and livestock has lead to more deforestation and overgrazing with a disastrous result of rapid desertification. 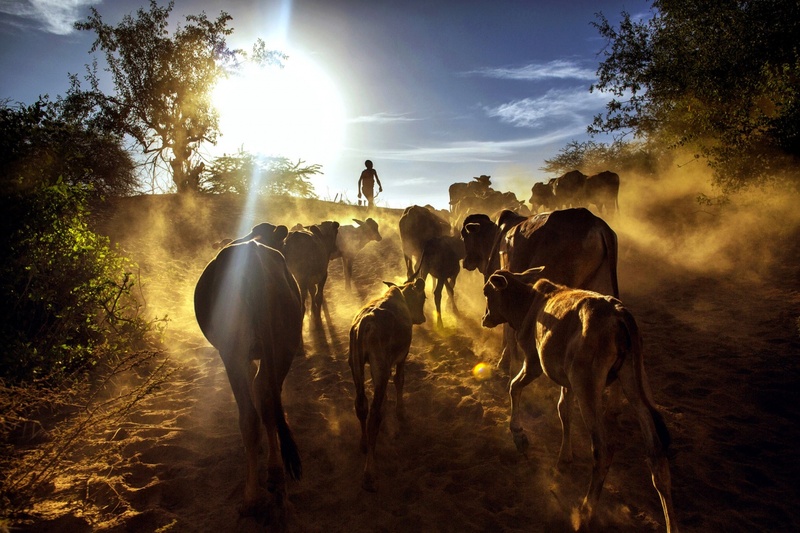 Women and children in Kenya’s south Rift are now tasked to take their livestock much farther afield to find any grazing pasture, often leaving before the sun rises and returning as the sun sets. 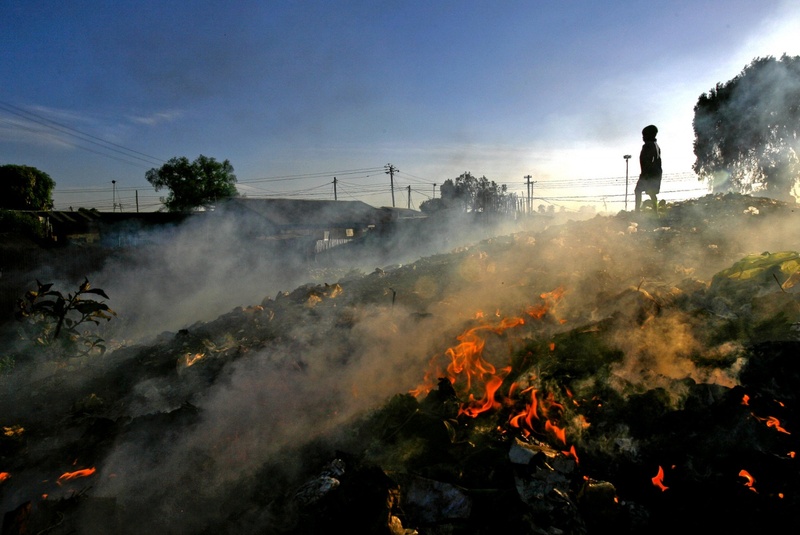 A young boy silouetted by the evening sun stands on top of a mound of burning rubbish in Kibera slum. Urban poverty is set to be Kenya's defining crisis over the next decade. The country has one of the highest rates of population growth with a population that has nearly tripled from 16.3 million in 1980 to 47 million today. 75% of Kibera's population is said to be under 18 with 100,000 of them orphans. One in five do not live to see their 5th birthday.